Request your free home market analysis. View our current real estate listings for sale in Austin, TX and surrounding areas. 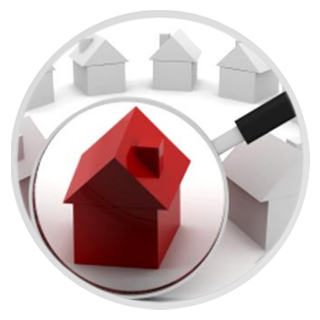 Search all foreclosure properties for sale in Austin, TX and surrounding areas. View our recently sold listings in Austin, TX and surrounding areas. Austin Summit Group helps you find the perfect luxury homes and residential real estate for sale in Austin, TX, and the surrounding communities. Experienced real estate agents give you inside information on the newest homes on the market and find exceptional deals on the exact homes you are searching for. With online search tools and personal assistance to help you find your home and close the deal at the right price, you can be completely confident in your investment. Austin covers an expansive area of beautiful hill country and its world-renowned attractions and cosmopolitan atmosphere continue to make it a popular destination. Numerous suburbs surround the metro area, each with welcoming neighborhoods and comfortable amenities, so you can have the ideal combination of exciting city living and the quiet countryside. The Austin area provides a wide range of homes suited for every age group, family size and buyer level, allowing each person to find the perfect home. Get knowledgeable, helpful assistance in organizing this diverse and growing market, and find the home you want fast. Contact Austin Summit Group for more information and expect the expert advice and assistance you deserve. Small town profiles, replete with welcoming appeal and family-friendly amenities engender high interest for real estate in Austin in the northern region and other locations around the city. Master planned neighborhoods and a range of homes suited for every age group, family size and buyer level keep the Austin real estate market quite active. For those interested, now is the best time to inquire about Austin, Texas homes for sale, while competitive pricing spans the gamut of choice properties . Find out more about Austin real estate, including top-rated communities, master-planned neighborhoods and desirable, Austin, Texas homes for sale. Get details on new and established homes. Use the unique web site resources and map based search options on www.AustinSummitGroup.com. Contact an area expert for more information. Expect the expert advice and assistance you deserve. Absolutely Stunning Custom with One of a Kind Architecture! Coveted Jobe Architects w/ Handscraped hardwds, custom wood panelling, pocket doors, walk in shower w/ seamless glass, floating cabinets, WaterSense faucets, custom lighting, whole house water filter, SS highend appliances, double stacked European cabinets, WIC, builtin entertainment center, custom iron pipe shelving, private patio w/ wood pergola, metal roof, gutters & rainwater collection! 3min to DT Austin, UT, lightrail & amazing restaurants! Gorgeous 4-sided masonry w/3-Dimensional roof & full gutters. Covered ft/bk patio w/tongue & groove wood ceilings & outside gas for grilling! Vaulted ceiling w/ton of windows! Brushed nickel fixtures & lighting w/ceiling fans in all beds. SS appliances in Kit w/42 cabinetry & undermount lights w/cutout windows in backsplash. Wood laminate in Liv/Kit. Enjoy Master down w/tray ceiling, bay window, deluxe walk-in shower w/seat, & garden tub! Just min to schools & shopping! Just reduced & is priced for quick close!!! Gorgeous 1 story w/high ceilings, ton of upgrades, & fantastic extended patio with Pergola! Rotunda foyer that leads to office/flex, wood throughout home w/ceramic tile in wet. Gorgeous Espresso shaker cab w/SS appliances & updated lighting throughout! Box windows in kitchen & master bedroom. Enjoy your private backyard sitting under your shaded Pergola. Just min to Devine Park, hiking/biking trails & don't forget quick access to shopping and restaurants! Stunning Ranch w panoramic views! Hardwds, tray ceilings, Crown, tongue& groove wood, builtins, Wd burn FP, art niches& stained glass! HUGE storage, SS w speakers, 30+cabinets, pull out drawers/lazy Suzan, SS Farmhouse pulls! Big master w sitting area& 2nd liv could be mancave/sunrm/office w private porch! 2vanities, sep tub/shwr! Full length porch overlooking Koi pond, sitting area, greenhouse& amazing Sunset views! Fenced& cross fenced w metal barn, 3 stall shed& goat area! 3 mi to Super HEB &lightrail. Great 1 story 100% Brick, covered patio. 4 Bedrooms, fireplace in living, Large Master with Master Bath separate shower, Marble tub. Tenant out the end of April . Roof replaced 1 month ago, new hot water heater just needs some xD; xA;new carpet and paint priced to sell. Pride of ownership. Nestled in the heart of Kyle and conveniently located to IH35, medical, grocery, shopping and tons of restaurants. Upgrades include 42upper cabinets with crown molding, alarm system, front/back irrigation, blinds, storage loft in garage, garage opener, light fixtures, SS appliances, SS fridge and washer/dryer convey! Don't miss this one. Owner is licensed agent in AZ. Minutes from Metro Rail, 183A, dozens of restaurants, grocery, medical, shopping. It doesn't get more convenient than this! Beautiful home nestled on quiet cul-de-sac in the heart of Cedar Park. Gorgeous updated kitchen open to living. Private office. MIL plan. Upstairs with next-gen potential w/large bedroom, full bath and living area.Side-entry garage with additional space for motorcycle or work area. Large extended patio, great for grilling. Ready to move in.Don't miss this opportunity! This is the one! Large cul-de-sac lot. High-end granite counter tops, upgraded cabinets.Hard surface flooring throughout. Kitchen open to living area. Convenient to shopping, restaurants, highways, metro rail. Walking distance to elementary, middle AND high schools. Coveted LISD. Don't miss this opportunity. Swings on playscape do not convey. Super cute and walking distance to the pool! Beautiful open kitchen w granite counters, center island, espresso cabinets & subway style backsplash! Rounded archways, recessed lighting, brushed nickel ceiling fans, 2 inch wood blinds, separate tub and shower, walk-in closets, and fridge conveys! Surrounded by lush landscaping in a gated community. This home is close to toll roads, 1431/Whitestone, outlet malls & tons of yummy restaurants! Absolutely stunning! Corner lot in coveted Hazelwood! Gorgeous hardwood floors, granite counters, stainless steel appliances, travertine backsplash, tons of cabinets, brushed nickel ceiling fans& lights, WIC, oversized laundry& storage closet, vaulted ceilings in liv &master, double vanities, sep tub/shwer! Walk to park, pool & playground situated behind the secret lake area! Close to Target, HEB, Theaters, Torchies Tacos & tons of yummy restaurants! Acclaimed LISD schools! Fridge conveys! Amazing home in coveted Anderson Mill West! Well maintained & clean w a great floorplan! Formal living, dining & Family room have beautiful Metro wood flooring, kitchen w center island has granite & is open to living & wood burning FP! Big gamerm& all the bedrms are HUGE w WIC's! Master has double vanity& double closets! Extended back deck & Walking distance to park, playground & best schools LISD has to offer! Fridge conveys! Close to Lakeline, Alamo, Target & tons of yummy restaurants!